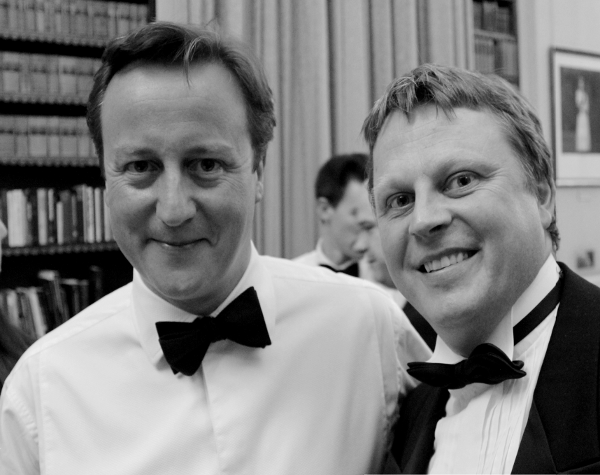 Conker Statistics were invited to a prestigious event at Ditchley Manor where the guest of honour was the Prime Minister, David Cameron. Mr. Cameron gave an inspirational after dinner talk on the challenges faced by government in reducing expenditure yet maintaining high standards in public services including Education. He advised that the plans within Education to reduce the number of subjects taught within schools will strengthen the teaching of core subjects including maths, english and the sciences. He also stressed the country needs to motivate the youth to make use of the opportunities available to them and aspire to great things in life. Dr Brad Payne of Conker Statistics was fortunate to grab a few moments with the charismatic Prime Minister and have a picture taken.